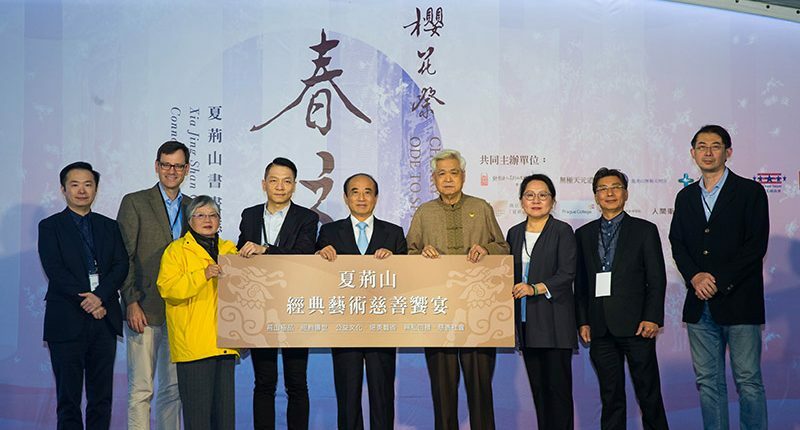 The Xia Jingshan Arts & Culture Foundation hosted a salon in the scenic surroundings of New Taipei City’s Shiding district, in the company of many VIP guests. 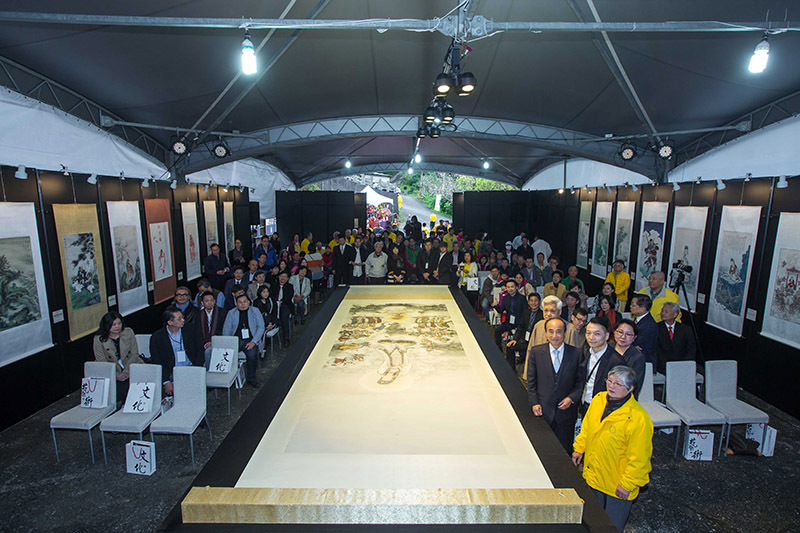 The idyllic mountain retreat of Wuji Tianming Temple (无极天明宫) was the venue on March 16 for a culturally exciting event that celebrated the life, work and charitable endeavors of the renowned painter and calligrapher Xia Jingshan (夏荊山). Major original works by the artist were on show, some not seen in Taiwan before, including the masterpiece, Dragon King Worships Avalokiteśvara. There was also a classical music recital, explications of Jingshan’s paintings, and the seasonal beauty of the cherry blossom season to admire. 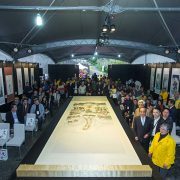 Though the 96-year-old artist who lives in California was unable to attend due to a recent illness, prominent businessmen and politicians such as Legislator (and former Legislative Yuan speaker) Wang Jin-pyng attended the “2019 Cherry Blossom Festival – Ode to Spring: Xia Jing Shan Calligraphy and Painting Art Connoisseurship Salon.” The appearance of former legislative speaker Wang drew considerable media attention, as he had recently announced his bid for the Kuomintang nomination for president. 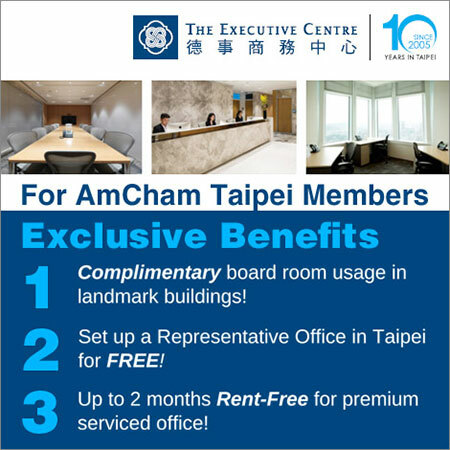 Also present were AmCham Taipei President William Foreman, Honorary Director of Taiwan Public Welfare Research Institute Wu Xiting, Wuji Tianming Temple Director Cai Qionghui, Xia Jingshan Arts & Culture Foundation Chairperson Susie Shiah, and President of Meifu Real Estate Hou Yuantang. 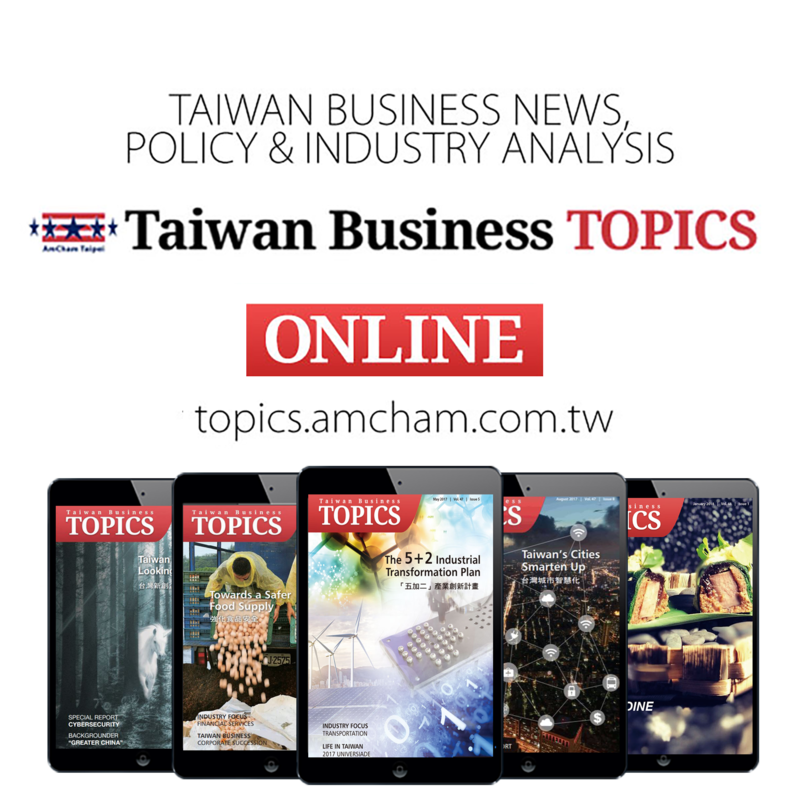 Xia Jingshan Arts & Culture Foundation CEO Chao Chung-chieh said this was the first time the dreamlike, eight-meter long painting Dragon King Worships Avalokiteśvara had been displayed in Taiwan. Chao said that since the Xia Jingshan Arts & Culture Foundation was launched at the beginning of 2014, it had been committed to education, academic research and cultivating talent. Susie Shiah, who is Xia Jingshan’s daughter, said the annual Cherry Blossom Festival and art salon was a way of ensuring that her father’s legacy continues. Xia was born in China’s Shandong province and was from a young age inspired by Buddhism. He moved to Taiwan and in the 1970s studied in the United States. He helped repair Longxing Temple in Shandong and his works of art went into space with the Shenzhou VII spaceship. His Buddhist paintings and calligraphy are famed and have been shown at many of the world’s leading galleries and museums. The event was co-organized by Xia Jingshan Arts & Culture Foundation, The American Chamber of Commerce in Taipei, Tianming Temple, Taipei Medical Alliance, Taiwan Philanthropic Study Institution, Xia Jingshan Academy of Nanjing University, Wei Chuan Corporation and the International Management Program of Prague College.